To celebrate the Lunar New Year, the Chinese host a variety of spectacular events and this gorgeous city of ice in Beijing is one of the most shining examples. Part of the city's Lantern Festival, the Yanquing Ice Festival is an enormous ice city lit by glowing lights which, as you can see, could not look more festive if it tried. Step in for more photos of this monumental homage to ice architecture! The Lantern Festival, also known as the Yuanxiao Festival or Shangyuan Festival, sees the country’s finest ice sculptures light up the city with a series of stunning creations. It certainly makes the sub-zero temperatures easier to bear when you’re surrounded by such awesome work. As you’d expect, locals and tourists alike are flocking to see the impressive ice creations before they melt. Neon and fairy lights make the spectacle even more impressive, especially at night time. 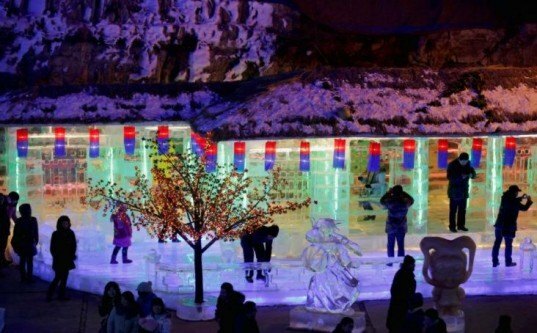 The Yanqing Ice Festival is one of the most popular winter festivals in northern China. As well as ice sculpting, people also take part in ice skating, skiing and, obviously, ice statue competitions. Ice festivals are clearly a big deal and a similar event, called the Harbin International Ice Festivalalso attracts thousands of visitors each year. The Lantern Festival, also known as the Yuanxiao Festival or Shangyuan Festival, sees the country's finest ice sculptures light up the city with a series of stunning creations. It certainly makes the sub-zero temperatures easier to bear when you're surrounded by such awesome work. As you'd expect, locals and tourists alike are flocking to see the impressive ice creations before they melt. Neon and fairy lights make the spectacle even more impressive, especially at night time. 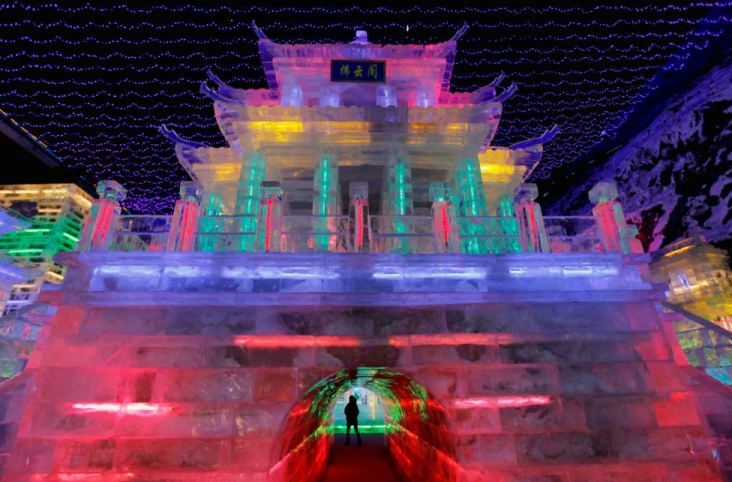 The Yanqing Ice Festival is one of the most popular winter festivals in northern China. As well as ice sculpting, people also take part in ice skating, skiing and, obviously, ice statue competitions. Ice festivals are clearly a big deal and a similar event, called the Harbin International Ice Festival, also attracts thousands of visitors each year.